H.12543 OWNER SAYS SELL! 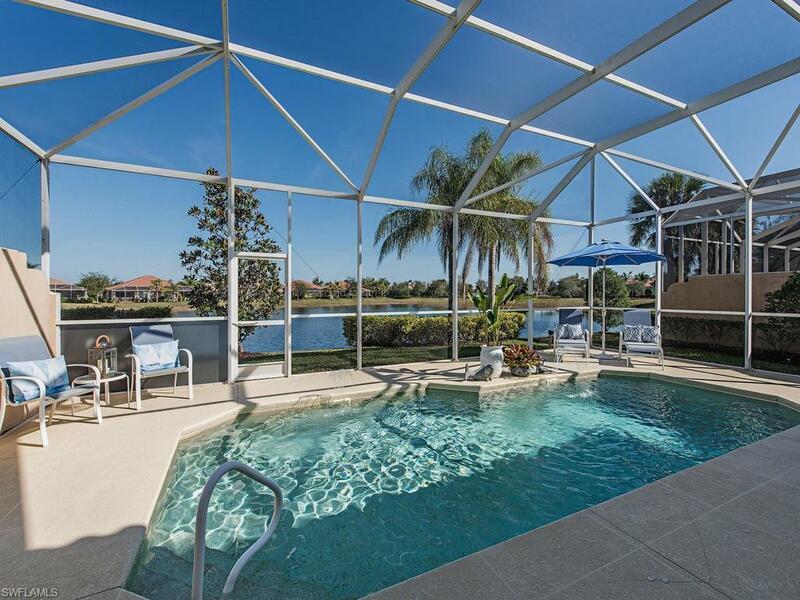 REDUCED LOWEST PRICE OAKMONT HEATED POOL AND LARGE LAKE VIEW! features new screening for the dramatically lit in-ground pool with fountains that overlooks one of the widest lakes in the community. 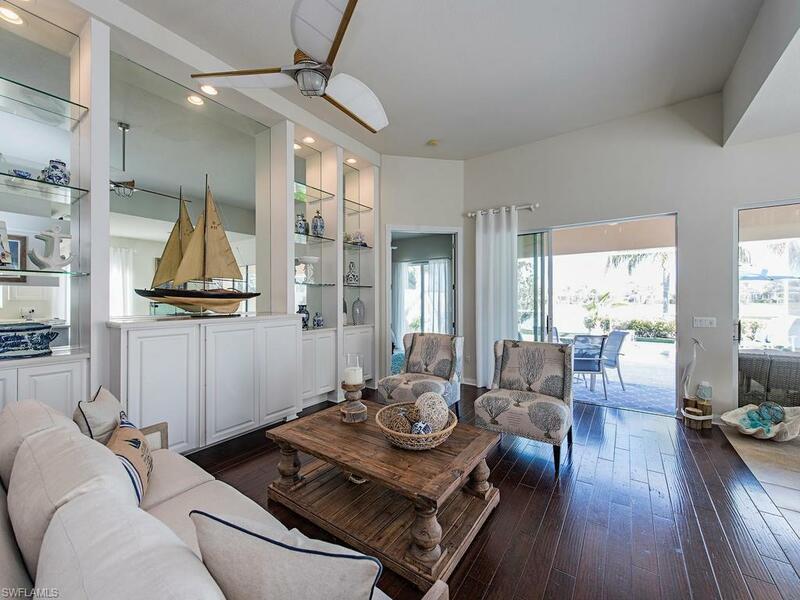 Property features and upgrades include: New Scraped wood flooring in the living area and entry, 7 fans located throughout the entire house and lanai, beveled glass front door with custom front screen enclosure, and dramatic exterior lighting. Spacious open concept great room includes a kitchen with breakfast bar and grand mirrored built in. The Master Suite offers Large closets with built ins, his and her separate bath and shower areas, and sliders to the large lanai. 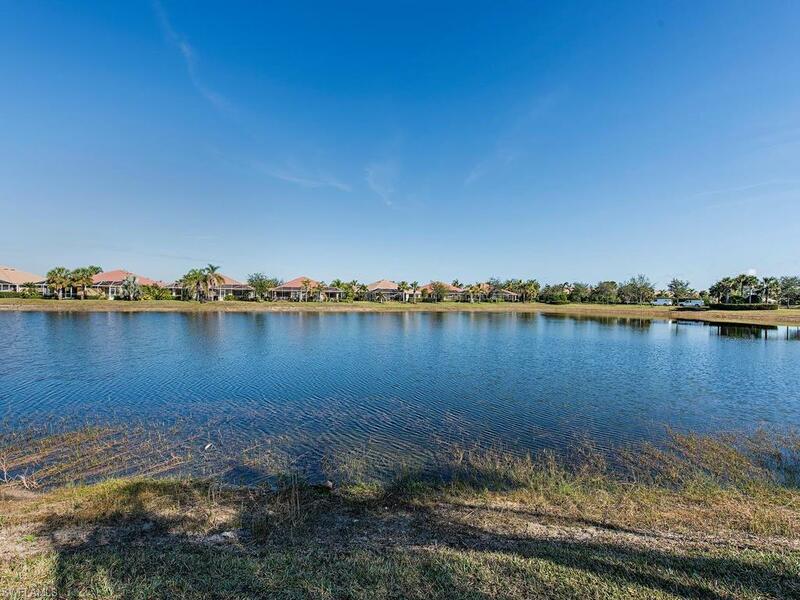 Verona Walk offers:Guarded gated entry, over 20 miles jogging/hiking trails, lighted tennis, bocce ball, basketball and pickleball courts, community pool, lap pool, children's play area with equipment, and 24/7 fitness center. The Town Center features: post office, restaurant, hair salon, travel agency, gas station, car wash, library, computer center, ballroom, card rooms, business center, and an activities director. 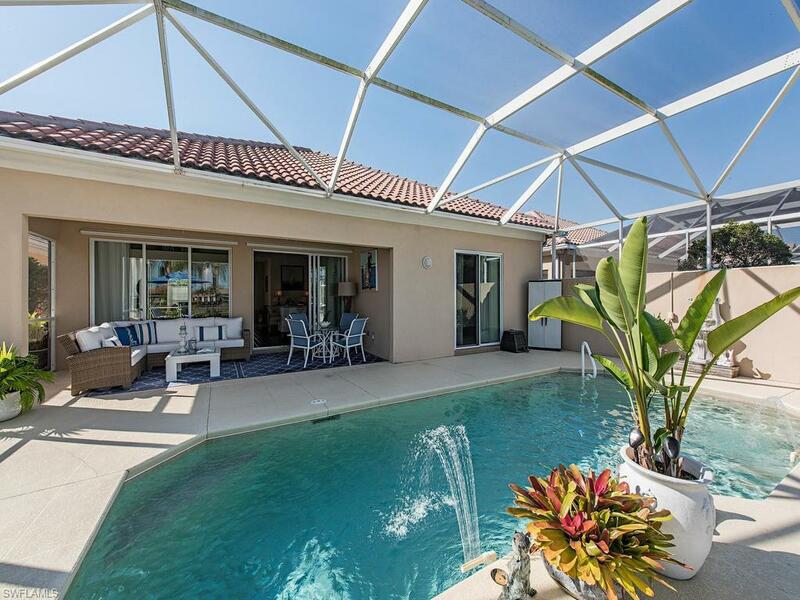 Perfectly located short drive to I 75, and Naples and Marco beaches.